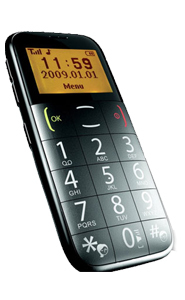 * SOS emergency Dial:When meet the emergency case ,they can press the intelligence key contact their relatives until pass through ,this mobile phone will send the message to temporarily no answer people. * Speed Dial: u can set 10 speed dialing numbers on the keyboard from 2 to 9,#,* etc.you can dial related numbers by long pressing related key under standby model. * Special button, hearing aid:when you on the phone, hands-free mode, if that volume is not big enough, press long "0" hearing-aid it can achieve the effect of the volume.